Do you consider yourself an expert skier on the hunt for the biggest and best black runs in the Alps? 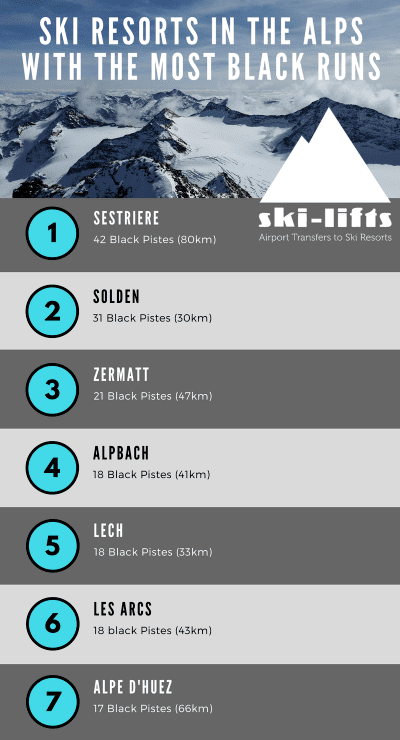 Well, if you’re an adrenaline junky and on the search for black piste skiing, you’ll be happy to know we’ve put together a list of ski resorts in the Alps with the most black ski pistes. 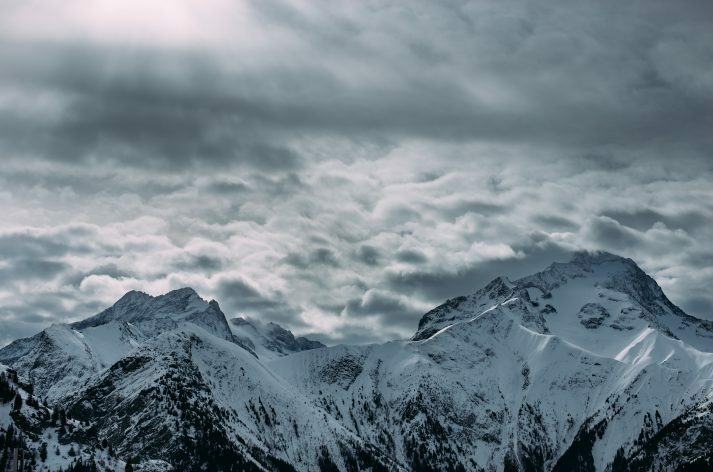 You might find information elsewhere describing different black runs at resorts, however, we’ve put together a list of ski resorts that give you multiple heart-stopping black ski runs! The Milky Way ski area is home to some of the best resorts in Italy and Sestriere is arguably the best resort in the area. The whole ski area offers a rather impressive 933km of downhill skiing. It is recommended you purchase a ski pass which gives you access to all the resorts in the Milky Way (Claviere, Montgenevre, Sansicario and Sauze d’Oulx), then you can really benefit from the 114 black pistes in the area. For those wanting a difficult challenge, the top of Sises and Motta is the place for you. In particular, Mount Sises World Cup and World Championships slalom run is the ultimate test for expert skiers. Airport Distance: Innsbruck Airport to Solden transfer is around 1 hour. ‘Think big, think Solden’ is the slogan for this Austrian ski resort. 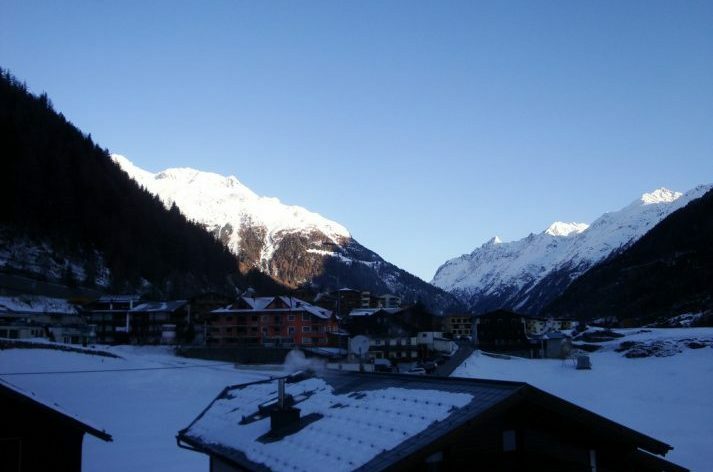 That not only applies to the sheer size of this Oetztal Valley resort but also its terrain and infamous nightlife. 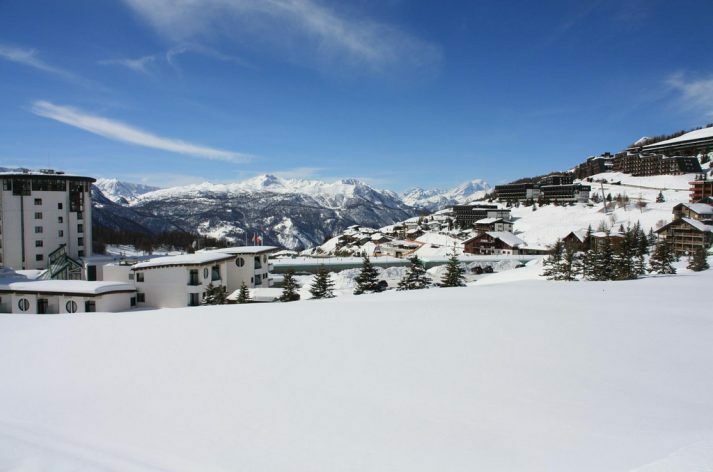 Solden has brilliant snow reliability and 31% of its runs are catered for advanced skiers. Solden is home to the Alpine Ski World Cup and if you fancy yourself, test your ability on the Black World Cup race piste, a piste as difficult as any in the area. 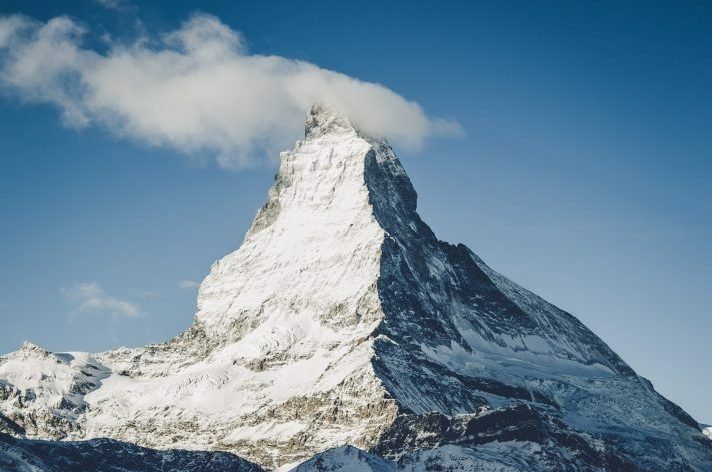 As one of the largest ski resorts in Switzerland, you would certainly expect some of the best skiing around, that’s exactly what you’ll find in Zermatt. 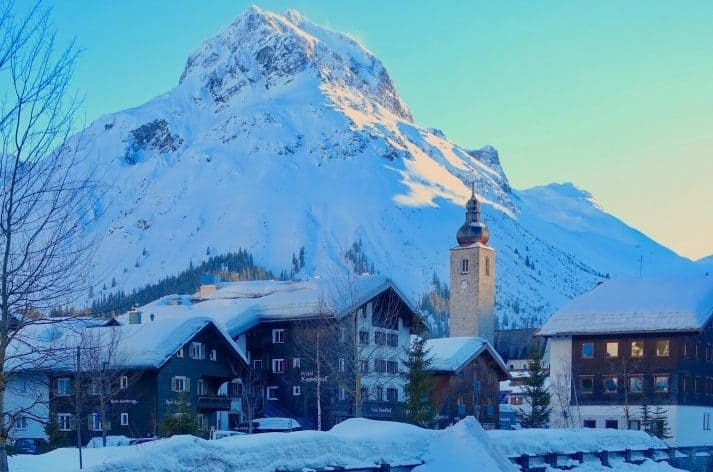 The resort is home to one of the largest interlinked ski lift areas in the world, this even includes an underground railway (giving you an idea of the sheer size of the ski area), with one section offering the option to ski into the Italian resorts of Valtournenche and Cervinia. The Triftji black run is a must for any of you expert skiers wanting to challenge yourselves. 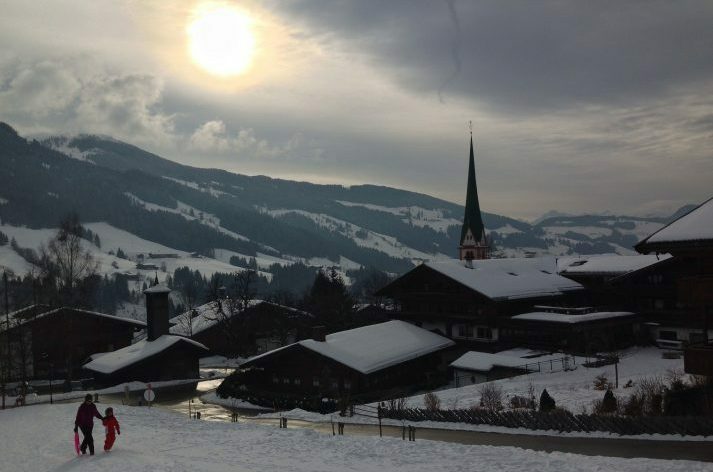 Alpbach is linked with six other resorts being a part of the Ski Jewel Alpbachtal Wildschönau area, giving skiers and snowboarders over 140km of pistes to explore. If you’re an expert skier on the hunt for black pistes, you have the choice of 18 while you’re in Alpbach, including off-pistes with tree-lined powder. For those extra adventurous skiers, get yourself to the most challenging route at the top of Gmahkopf. Plenty of people would argue that Lech is one of the best ski resorts in Austria and certainly for expert skiers. You’ll find this resort in the Arlberg ski area. Expert skiers will find themselves spoilt for choice, there’s plenty of choices when it comes to risky off-piste trails and difficult black runs. For skiers who are really up for a challenge and a fun, bumpy ride, head for Kiregerhorn with its range of bumps and moguls. 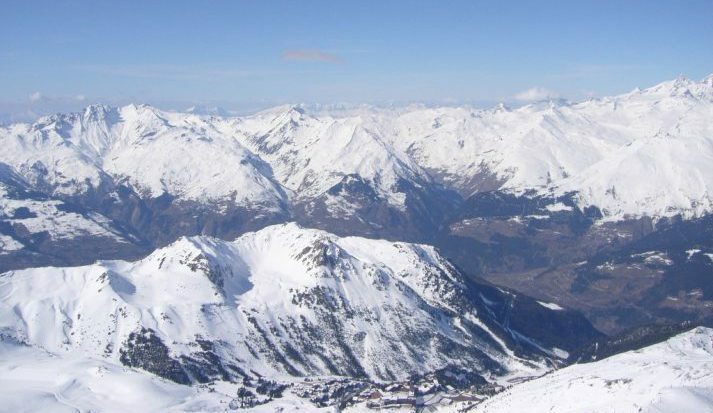 Located in the gigantic Paradiski area in France, Les Arcs is made up of several areas. However, the area we’re concentrating on is Les Arcs 2000. This resort offers the best expert skiing you’ll find around the area, with a tonne of challenging black runs for you to choose from. If you’re brave enough, head straight to Robert Blanc, which is the steepest run. This run heads directly down the northwest face of Aiguille Rouge. Alpe d’Huez is part of the infamous Grand Domaine ski area in France. The resort offers 369km of downhill skiing, there’s plenty here for beginners and intermediates, but the black runs is what we’re interested in here. Alpe d’Huez is arguably one of the best ski resorts in France for challenging black runs. Pit Blanc is the highest peak of the Grandes Rousses Massif, with a vertical face of 2330m. It’s here that you will discover exciting and long descents, including the longest black run in the world, Sranne, which spans over 16km. Heading to any of these resorts this winter? Don't forget to book your hassle-free transfer!